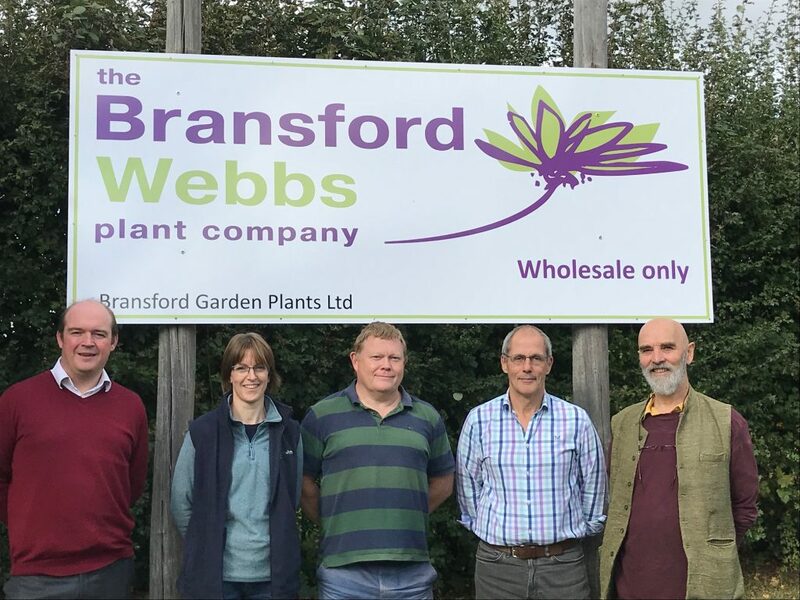 The Bransford Webbs Plant Company has today announced a change in the ownership of the company in order to ensure the security of the business for the future. Will Tooby, the current chairman, whose father established the business, has been keen to secure the future of the company, whilst retaining an interest in a nursery he cares deeply about. By reducing his shareholding, he has taken a partial step away from the business, but remains Chairman of the Board of Directors. The shares have been taken up by a combination of Webbs Garden Centre, Adrian Marskell (Managing Director), Richard Colbourne (Financial Director) and Christine Chalmers (Production Director). The Bransford Webbs Plant Company, established over 50 years ago, under the original name of Bransford Nurseries. Renamed Bransford Garden Plants in the early 1990s to better reflect the nature of the business, it became renowned across the industry for its new and innovative plants, ideas and promotions. Following a merger with Webbs Nurseries in 2005, The Bransford Webbs Plant Company has continued to go from strength to strength. A leading nursery in the UK, it supplies over 1.5 million plants to garden centres across the UK. The growing space currently covers over 9 hectares, consisting of glasshouses, polytunnels and outdoors beds. “Through this positive move, Will is ensuring that there is a seamless change in the overall ownership of the company, and that a team he trusts continues to run and expand the business into the future, with confidence, whilst retaining all the values that are so important to him”, commented Adrian Marskell, Managing Director. “So although there has been a change, the message is very strongly, no change, business as usual”.